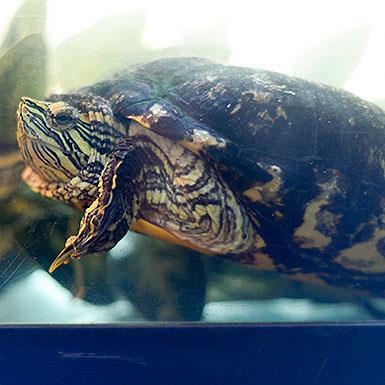 Toji is a 30-year-old male slider turtle with a 50-70 year life expectancy. He is hoping to find new digs where he is protected from predators, has a bunch of dirt to scratch and room to run around, and a pool. 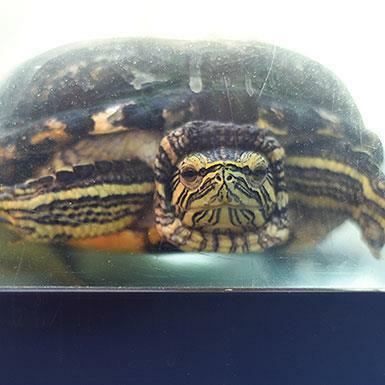 If you are interested but have never cared for a turtle, we are happy to teach you everything you need to know! Please contact us at wild@bestfriends.org or 435-644-2001 x4460.